At foodcircle, we are committed to making a change in the food industry. 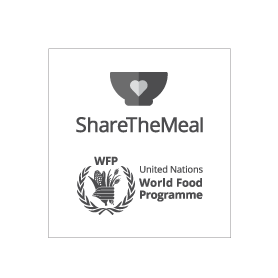 We made a partnership with ShareTheMeal, an initiative of the United Nations World Food Programme (WFP) to help the 821 million undernourished people in the world today. That means 1 in 9 people do not get enough food to live a healthy life. Foodcircle is dedicated to leveraging new technologies to distribute value to our clients, suppliers, but also to all those farmers who are so important to all of us, but still live in unsustainable conditions. We are donating part of our profit to support sustainable campaigns developed by the WFP. Projects include: “Homegrown School meals”, small farmers who sell their raw materials to schools for their students' meals, “Urgent aid to Yemeni children”, “Support refugees in Uganda”, “Help Palestinian children” and many more. Help us build a more sustainable world. Buy with foodcircle.